We strive to assist the Sons of Union Veterans in keeping alive the memories of our ancestors and their sacrifices for the maintenance of the Union; to caring for helpless and disabled Veterans; to properly observe Memorial Day; to aid and assist worthy and needy members of our Auxiliary; to instill true patriotism and love of country; and to spread and sustain the doctrine of equal rights, universal liberty and justice to all. 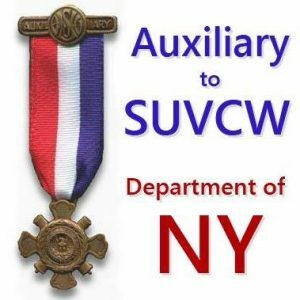 Local Auxiliaries encourage patriotism through the promotion of community Memorial Day Services, participation in parades and service on committees publicizing observance of national holidays. They greet new citizens at Naturalization Court and present certificates and monetary prizes at graduation ceremonies to students excelling in the study of American History. Volunteers serve as guides at the G.A.R. Civil War Museum and Library, explaining exhibits and assisting researchers. Dressed in authentic reproductions of Civil War period clothing, members present illustrated talks and first person impressions of noted Civil War personalities at schools and community meetings. We cooperate in the sponsorship of military balls and reenactments of actual Civil War events and battles to acquaint the public with our country’s history.